Personally I think its a really cute tradition. I am all about "holiday magic" and making the season last longer than Christmas Eve and Christmas day. HOWEVER... would someone explain to me why these things are $30! Seriously... what in the world. That is money for Christmas presents that I will not be wasting on an elf. BUT, I will be making my own! 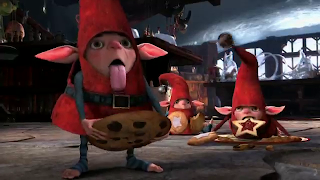 I think he is going to end up looking something like this... these little guys are from the new movie Rise of the Guardians by the way. I plan on taking the little one to see it next week. :) I will post a tutorial once I get it done! Here is the scarf I just finished and BEFORE Dec. I might add. I am rockin and rollin! 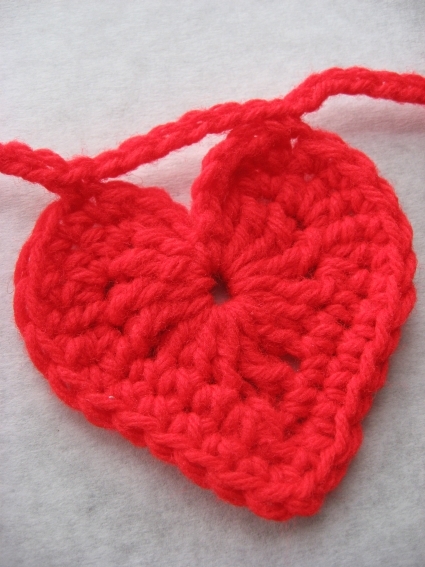 It is not perfect, but it is cute and she will love it! and it cost me a whopping $2.50 and I still have some yarn left over! Remember my post about trying new things? It's a good lesson. I tried to crocheting when I was younger, to be honest I think I had a bad teacher and I did not have the patience for it. Yesterday, I borrowed a hook from my aunt, spent $2 on some yarn and decided to give it another try. I LOVE IT! I am 2/3 of the way done with a beautiful scarf. It is going to one of Zoey's presents! Yes, it is that time of year again! 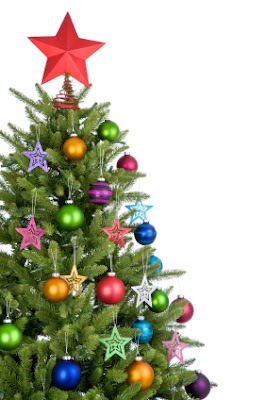 No matter what religion you are, or what celebration you take part in the holidays can be a stressful time. Especially when you are broke (as most of us are). We are cutting how much we normally spend this year. 1. I don't it to spend. 2. It's not necessary. Do me a favor... look back on the holidays or Christmases past and tell me what you remember. You may remember a toy or two that you REALLY wanted, but over years and years of gifts most people remember that they saw their family every year. That there was always lots of food and goodies. Children remember the memories you make, not what they get because that is not what the season is about. We are making all of our ornaments this year. Between Google and Pinterest I have found LOADS of cheap and easy tutorials. So not only are we decorating the tree, but we are going to spend time together making the decorations. I will be posting these with links as we go along, hopefully. I am lucky that so people love my daughter and are able and generous enough to buy for her. She is going to get loads of presents. So I am not getting her as many as usual, and many of the presents she is getting from me are going to be homemade. This does not make them any less special, if anything it makes them more special. Spend less, make new memories! The holidays don't have to be stressful! A new Disney movie premiered tonight. Zoey has been waiting to see this movie for over a month. It was really cute. 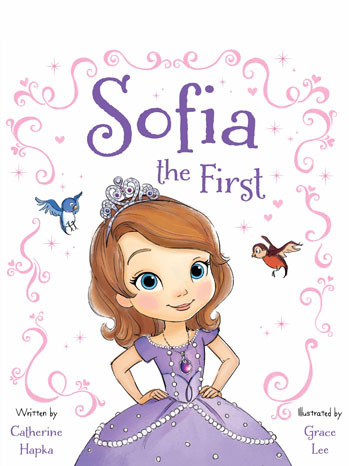 A single mother marries the King and her and her daughter Sofia move into the palace. Sofia struggles to get used to her new siblings, home, and life. Her new father gives her a special necklace and hi-jinks ensue. It was actually funny at times. How many times have parents told there children "Honey, just try it. You might like it." Zoey is only four and I have already said this more times then I can count. But how often do we take our own advice? I decided one day last month that I was going to write a story. I had an idea that I was just completely inspired by and decided to give it a shot. Then I remember a program I had heard of, NaNoWriMo. National Novel Writing Month is November. 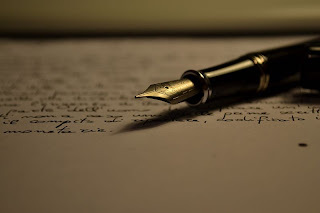 I knew I would not be writing a novel but I thought talking to other writers might be helpful. So I did another new thing and joined the site. The forums were wonderful, it was nice having people to bounce ideas and questions off of. Then I found there was a writer's group in my city! Not only that meets during Nov. but one that also meets all year long. I am not the most social of butterflies, but for some reason... some burst of spontaneity I did it. And guess what?! I LOVED it. Even made a couple new friends. So this month I tried 3 new things. I love all holidays and one of the easiest ways to kick off a holiday and to get into the holiday spirit is books. I go and get seasonal books at the library all year round. If its a holiday I can about guarantee you a book has been written about it. These are the ones we started off with for Thanksgiving! 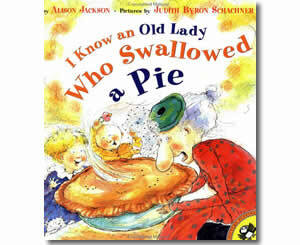 is a re-write of a classic poem, I Know an Old Lady Who Swallowed a Fly. 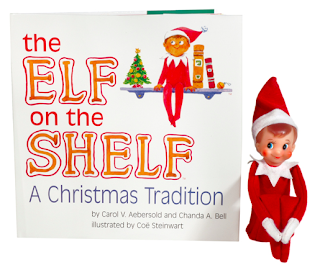 It is a cute little book that repeats itself. This is great because once your kid gets the sequence down they can say it with you. 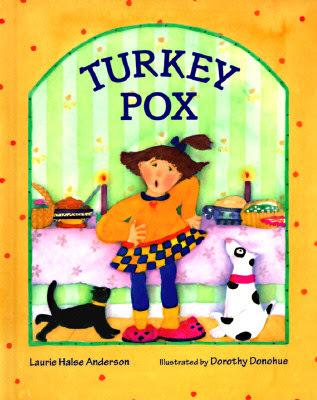 In this book a young girl gets chicken pox and has to stay at home instead of going to her Grandma's house for dinner. It was a cute story, they ended up having a nice Thanksgiving at home. 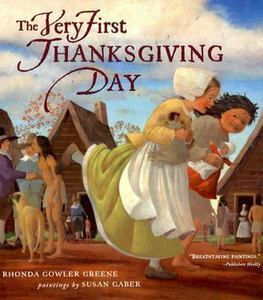 This is a more serious Thanksgiving book. It tales the tale of the Pilgrims and Indians. It is a quick read, it rhymes and the pictures are beautiful. My little one was a ballerina and had a blast! I hope everyone else enjoyed themselves last night!